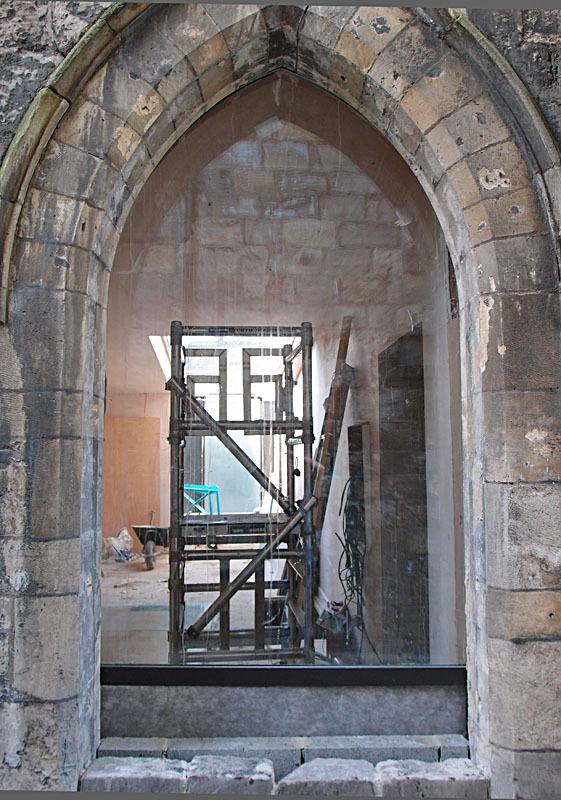 On a recent wander I noticed that a new view has opened up, alongside Bootham Bar, where a window has appeared in what was a walled-up archway. It used to have toilets on the other side of it, but these have been demolished. New toilet facilities will be provided on the site, but presumably not right next to this massive window in the wall. There’s going to be a shop here too, apparently. Let’s have a nosy in. 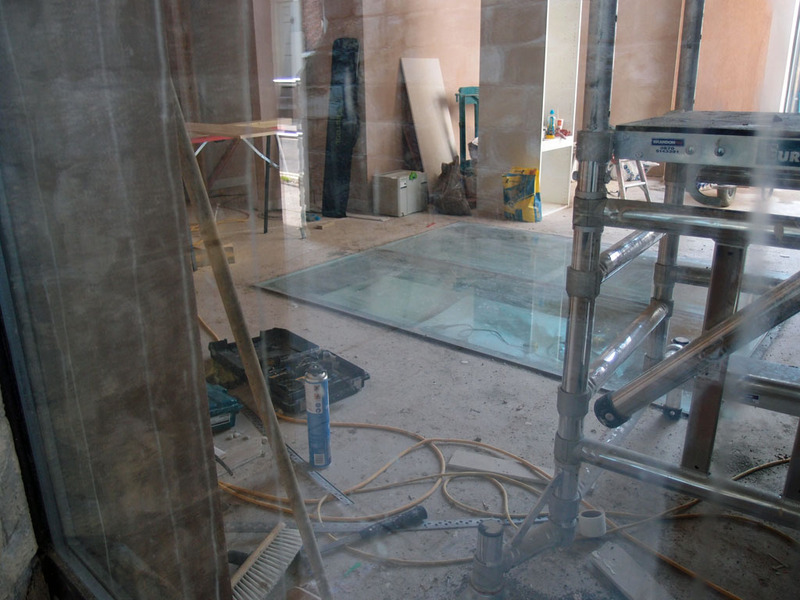 Work is clearly underway, and the most obvious feature is another window type thing, in the floor. This will, so I’ve heard, allow us to see some Roman wall. Something interesting to look at while queuing for the loo. These were very well-used loos, and appear to have been sorely missed during the rebuilding work, judging by the number of prominent signs by the doors of nearby shops and cafes pointing out that their TOILETS ARE FOR CUSTOMERS ONLY. It’s not a glamorous subject, I realise, but one of those things all cities have to provide. And one of those things that visitors in particular need, and might judge us by. Tourists might be impressed by our toilets with Roman wall underneath. Or maybe tourists and residents alike will be standing outside exclaiming ‘How much?’ when the charges for using this impressive new facility become clear. 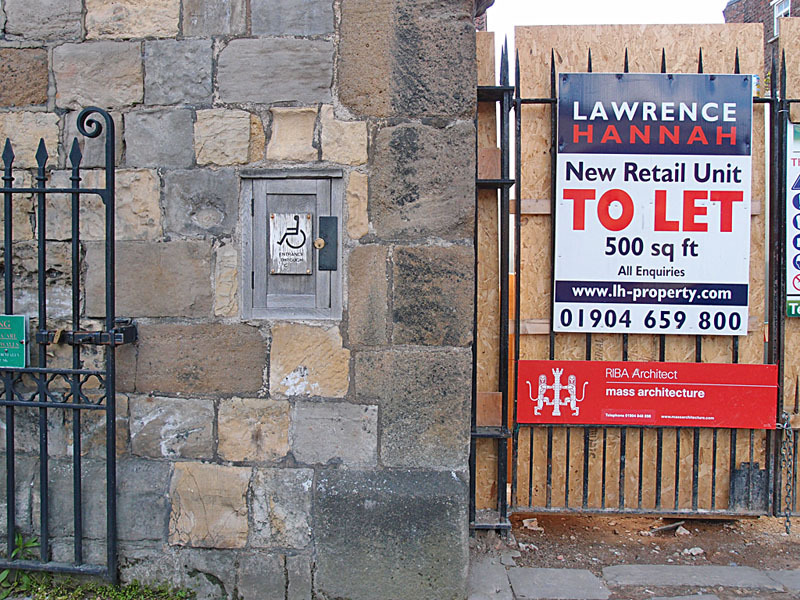 Even public toilets have their histories and stories, and background information on this one and others appeared on one of my earlier pages: ‘Public conveniences’, Bootham Bar and elsewhere. See also, on this site: Toilet stories from Church Lane. And a page or two about the Parliament Street toilets. I didn’t realise I’d written so much about toilets. Let’s go and look at something more uplifting next. And my Googling also uncovered this ‘Historic Toilet Tour‘ (PDF) on the Visit York website, should you be eager to read even more about the city’s conveniences. By Lisa @YorkStories • 20 May 2015 Buildings, Changes To link to this page's proper location please use the > permalink.